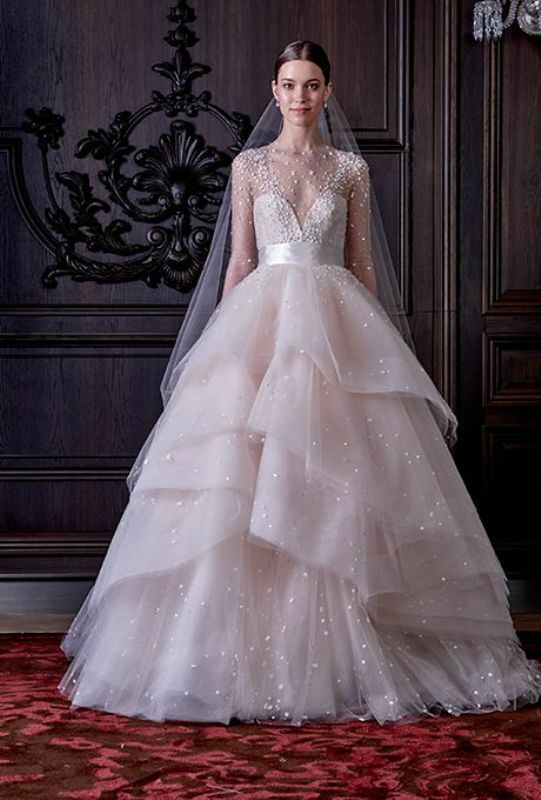 What is so special about tiered wedding gown ? Well, it has plenty of fabric layers all the way down to the bottom, which makes the dress really elegant and . A silhouette like that will fit any body type and it’s perfect for those brides, who want to hide their wide hips. A tiered gown will be one of the most popular silhouettes in 2016 – fashion pros predict. AFTER all its your wedding day & you have too look the best on that special day. HAVE a look down to the gallery below to see them and maybe you’ll find there the one and only you’ll be wearing on your big day.